Bollywood’s young actors Shahid Kapoor and Kiara Advani have been roped in to play the lead in the official Hindi remake of the Telugu flick Arjun Reddy. Music label T-series launched the music video of the remake of the 90s hit Urvashi. To raise the excitement among the listeners, the makers first unveiled an official poster of the song with a teaser. The video of the song has shown a sizzling chemistry between Shahid and Kiara. The Jab We Met star has flaunted his flawless dance moves while Kiara is the eye candy who has complimented well co-star Shahid. The two certainly look great together and have done justice to the club feel of the song. Talking about the song, the revamped version has received a mixed response from the listeners. 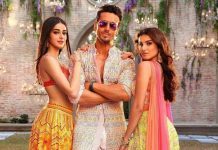 The song is penned by singer and rapper Yo Yo Honey Singh and is choreographed by Sanjay Shetty and directed by Giffy. The director while talking about Shahid and Kiara said that the two have turned up the heat with their sizzling chemistry in the song. Shahid is already known as a good dancer while Kiara has come out as a surprise element with the video. 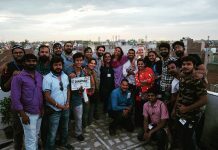 The director further revealed that they shot the song Urvashi across Mumbai in three days and is sure that the song will be a part of everyone’s playlist.